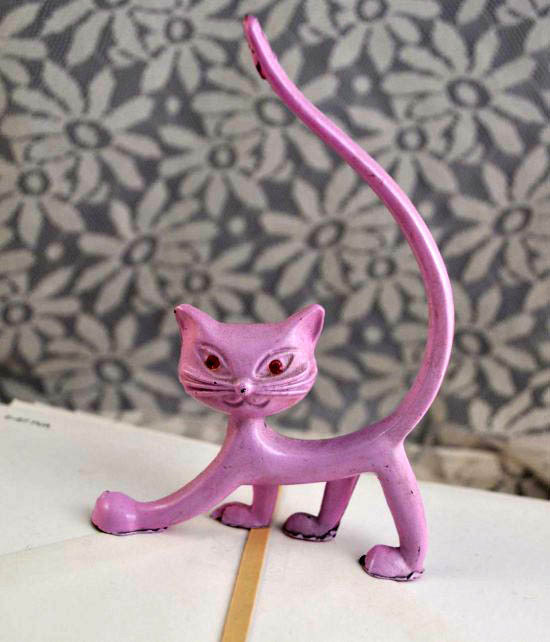 Purple cat ring holder with gemstone eyes. Feels like cast iron. It was I think a quarter at a yard sale. I have a few kitty ring holders but none so purple and cute. Purple, cute and only 25 cents. Such a good find!